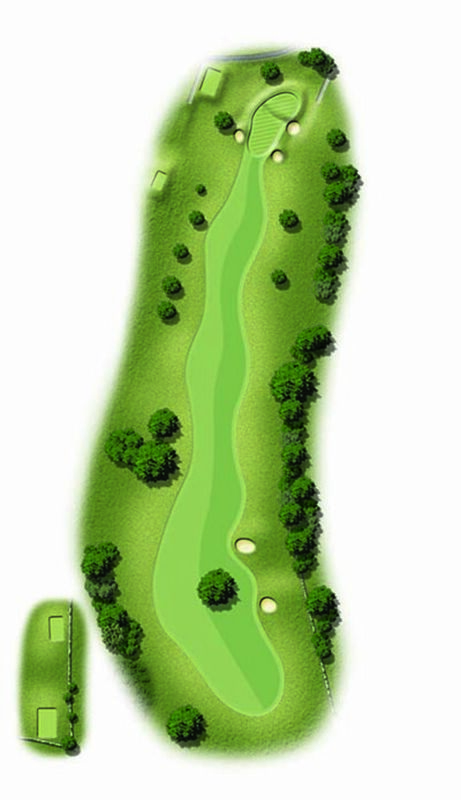 This left to right dogleg par five offers the longer hitters a chance to get home in two shots. Off the tee decide which side of the tree that is in the fairway you want to go, as left is safer but longer, so guess what right is :-) The two tier green offers an interesting challenge and two putting from the lower tier is not easy. Still a good chance to pick up a stroke before the back nine.